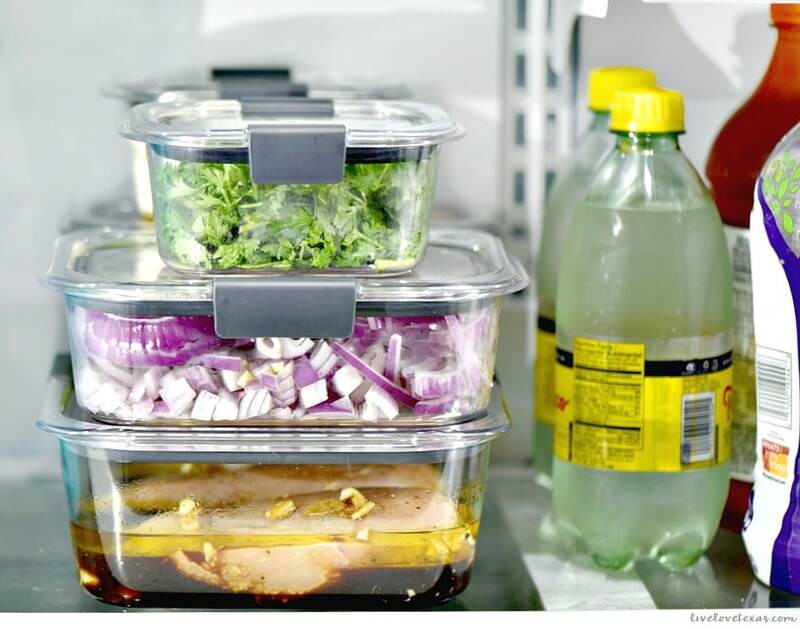 Do you find yourself standing in front of the fridge at 5:00 asking yourself yet again, “What are we going to eat for dinner?” Try these 7 Meal Planning Secrets for People that Fail at Meal Planning and transform your weekly routine with this sponsored post for Rubbermaid. A few times a week I find myself in the same predicament…what should I make for dinner? And every week I vow to get better at meal planning so I can (a) deal with not knowing what to make for dinner and (b) limiting the amount of food we throw away each week. I mean I know how to meal plan. You just write down your menu for the week and the ingredients needed for each meal, but somehow I just never do it in a way to maximize what we have on hand or are buying. I make a list of random meals that sound good and then go crazy buying all kinds of ingredients that may or not be used up that week. But there’s a better way that I’ve recently started using that’s helped more than you could imagine. 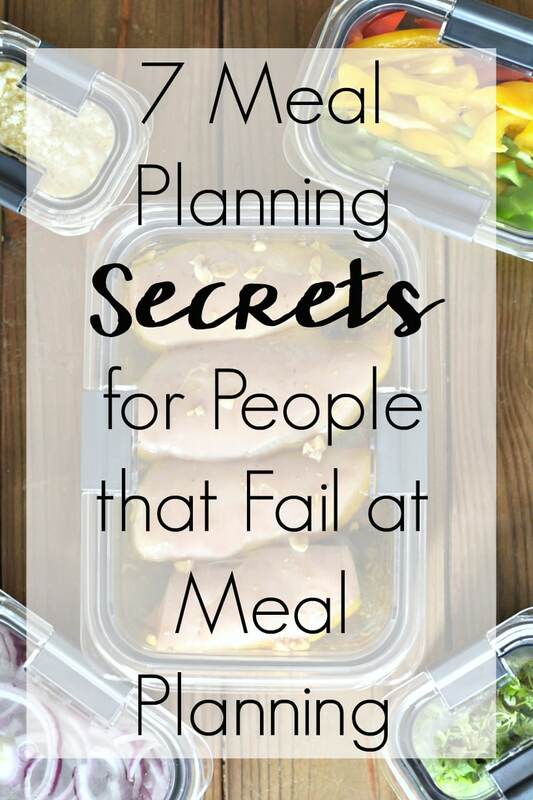 If you’re struggling with meal planning and/or maximizing your food budget and reducing food waste then check out these 7 Meal Planning Secrets for People that Fail at Meal Planning. 1. Look at your schedule. There’s no sense in planning and shopping for seven meals when you have a date night planned or are going out of town. 3. Don’t let the meal plan dictate what you eat each day. The meals are interchangeable and can be mixed and matched where you want them. If it’s hot outside, opt for grilling instead of turning on the oven. If you know you won’t have a lot of time around dinner to get things prepped, toss things in the slow cooker in the morning so the meal will be ready when you are. It’s amazing how easy it is to put chicken and salsa in the slow cooker and come up with a delicious base that you can serve on top of rice or a salad. 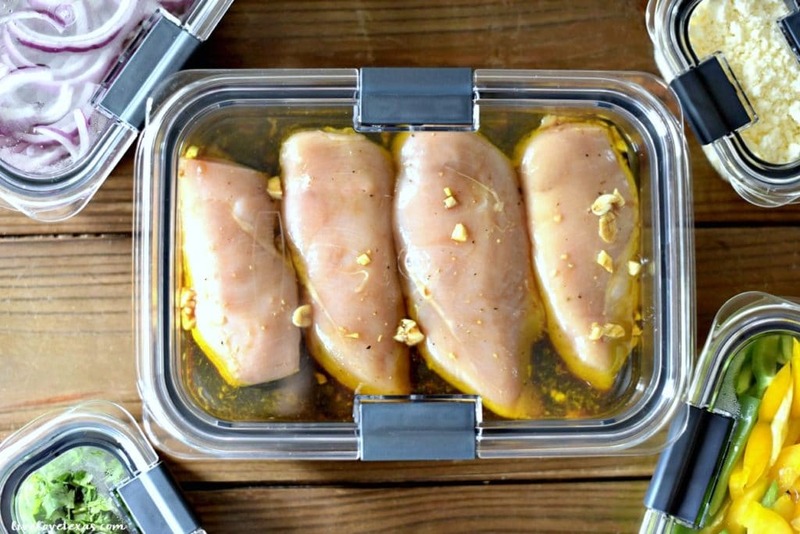 Or, marinate some chicken in the new Rubbermaid BRILLIANCE meal prep containers. You won’t have to worry about spills with the 100% leak-proof guarantee because of the airtight leak-proof seal and innovative latch design. 4. Except on Sunday. With most rules, there’s an exception. My exception to dictating which day you should eat each meal is Sundays. No one feels like starting the week making a big meal so instead of stressing over cooking from scratch, make a large enough portion of Sunday dinner to allow for leftovers on Monday. My husband and I both work from home so this is leftovers for dinner but you could also turn these into leftovers for the week. One of my biggest fears, when I worked in an office, was making a mess all over the office microwave. There’s no fear of that with the Rubbermaid BRILLIANCE which has splatter-resistant microwaving with vents built into the lid which allow you to keep the lid on and latches open to reduce splatters. There are also no worries about microwaving these Rubbermaid containers because they’re made with heat resistant BPA free material! 5. Choose meals that incorporate similar ingredients or ingredients that can be swapped. Lots of dishes like chili or tacos have similar base ingredients that work with both meals allowing you to minimize waste by using that half an onion in another meal instead of tossing it out. We’re lucky both girls love onions because they’re in almost every dish we make. But you know how sometimes the smell of chopped onions can escape when you store them in the fridge? I don’t have this problem since switching to Rubbermaid BRILLIANCE meal prep containers. These meal prep containers with lids are made crystal clear and made of stain-resistant material meaning they look new and resist odors. 6. Prep your produce as soon as you come home from the store. By having all of your ingredients already ready to go, you’ll save a little time each night and have everything ready to go when you need it. You don’t have to worry about all of those food storage containers taking over your fridge either – all five sizes stack together perfectly and are a great way to organize all of your produce. 7. Don’t forget the sides. It’s easy to overlook side dishes and focus only on the main course but unless you’re planning one-pot dishes, you’re going to need some sides. A great way to add a healthy side into each meal is always having an easy salad available (see tip 6, so there are no excuses that salads take too long) or keeping a stockpile of frozen veggie steamers in your freezer. Do you have any meal planning secrets to share? I’d love to hear them – share them with me on Twitter or Facebook!